B&W photograph, 15 x 9.3 cm. Signed. 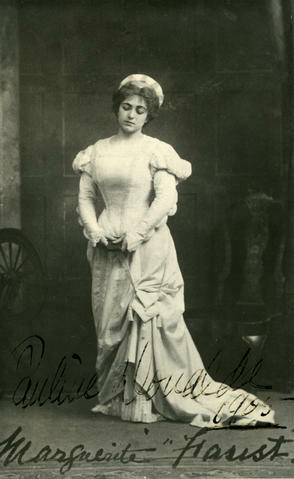 Pauline Donalda as Marguerite in "Faust."